Relapsing fever is an infection caused by bacteria called 'Borrelia.' In Washington and other areas in the western United States, people get relapsing fever through the bite of ticks that feed on rodents. About 2-8 cases of tick-borne relapsing fever (TBRF) are reported each year in Washington State. Most people became infected while vacationing in rural, mountainous areas during the summer months, between May and September. Relapsing Fever is a bacterial infectious illness caused by members of the genus Borrelia. Lice and ticks are the disease vectors. Louse-borne relapsing fever can be found in any place with lice, but it is more common in places with poor sanitary conditions. The incubation period of louse-borne Relapsing Fever is 2 to 14 days. Tick-borne Relapsing Fever is more common in tropical and sub-tropical regions such as Africa, South America and Middle-East. The incubation period of tick-borne relapsing fever is 2 to 9 days. 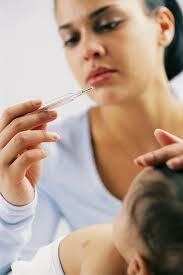 Relapsing fever should be suspected in persons coming from a high-risk area who have repeated episodes of fever. This is particularly true if the fever is followed by a 'crisis' stage, and if the person may have been exposed to lice or soft-bodied ticks. Make sure to remove any attached ticks as soon as possible. To remove a tick, use tweezers to grab the tick by the head (or as close as possible to the head) and pull. Do not use heat, petroleum jelly or other methods to try to make the tick 'back out' on its own. Symptoms include fever, chills, vomiting, muscle pain, liver and spleen enlargement. Fever and other symptoms will last for few days and then improve. If no treatment is given, fever and symptoms will recur about one week later. The disease is so named because of this recurrence phenomenon. The clinical symptoms of Louse-borne and Tick-borne Relapsing Fever are basically the same, except that they are less severe in Tick-borne Relapsing Fever. The bacteria may be transmitted to humans by either ticks or lice. The illness is characterized by periods of fever, chills, headaches, body aches, muscle aches, and cough, alternating with periods when the fever subsides and the person feels relatively well. Complications may include bleeding abnormalities, pneumonia, meningitis, cranial nerve palsies, hemiplegia, and coma. The heart rate is greatly increased, and the liver and spleen may be swollen. Because the substances responsible for blood clotting may be disturbed during the illness, tiny purple marks may appear on the skin, which are evidence of minor bleeding occurring under the skin. The patient may suffer from a nosebleed, or may cough up bloody sputum. All of these symptoms last for about three days in TBRF, and about five days in LBRF. Sudden fever occurs within 2 weeks of infection. In LBRF, the fever usually lasts 3-6 days and is usually followed by a single, milder episode. In TRBF, multiple episodes of fever occur and each may last up to 3 days. Individuals may be free of fever for up to 2 weeks prior to a relapse. LBRF is mainly a disease of the developing world. It is currently seen in Ethiopia and Sudan. Famine, war, and the movements and groups of refugees often result in epidemics of LBRF. The largest epidemics of LBRF during this century occurred during the World War I and II. At least 1 million people died during these epidemics. Keywords: Relapsing fever, symptoms of Relapsing fever, causes of Relapsing fever, sudden fever symptoms.